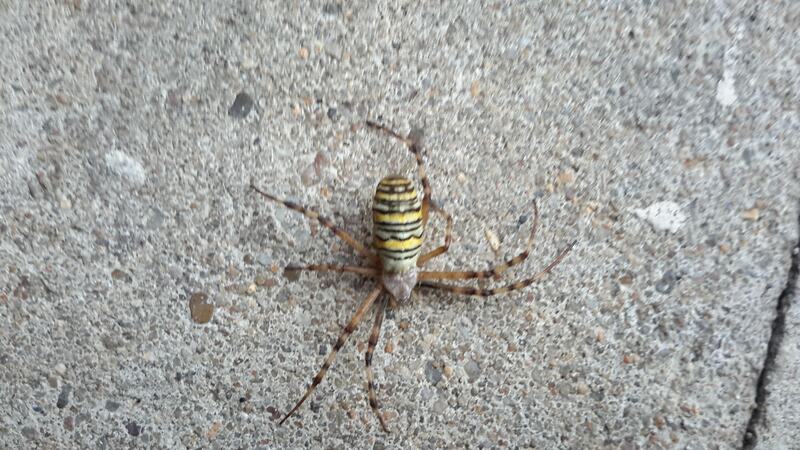 Argiope bruennich (Wasp Spider) ? Looks like Argiope bruennichi to me. Don’t think it can be wrongly identified with such a characteristic look. Thanks for your identification, ‘that fella sure has a bit of character’ I was wondering if it’s normal to be here in Europe, first one I’ve seen.